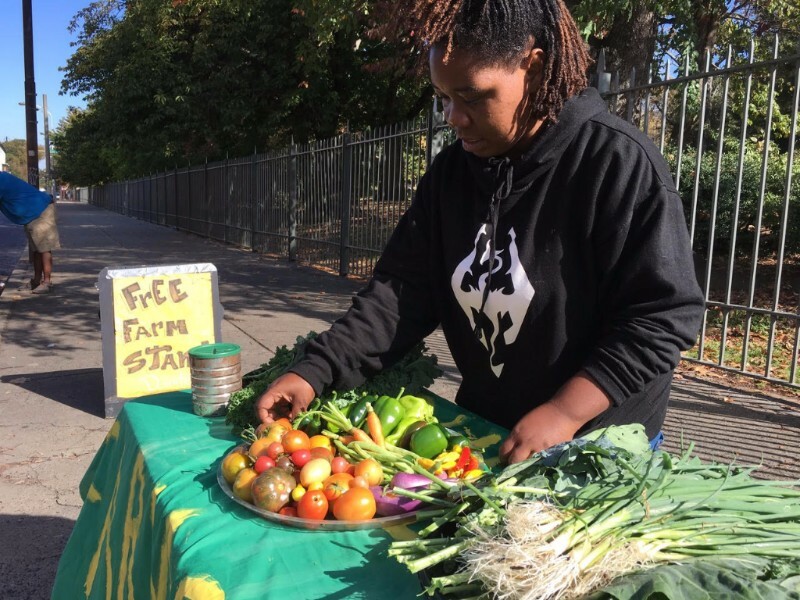 From June-October the Saturday farm stand offered fresh produce to neighbors, local business, passers by. The seven gardens produced 1350 pounds of fruits and vegetables for the neighborhood with 15 neighbors working in the gardens. 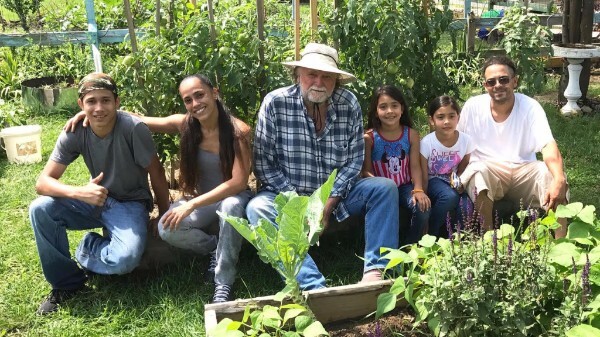 Top Left: Tom Grabe with Jesus and Alida Aponte, Sadaiel, Gigi and Tuti who helped keep seven gardens bountiful. 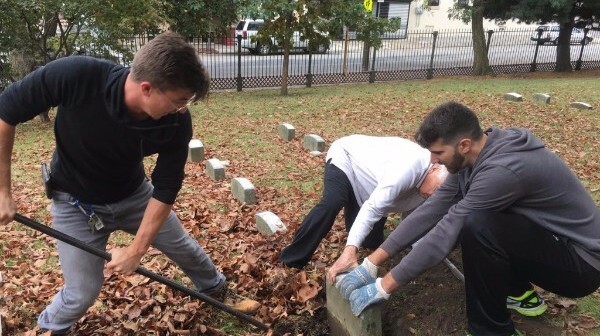 Top Right: Volunteers from Friends Central and Temple U helped reset 25 tilted grave stones. 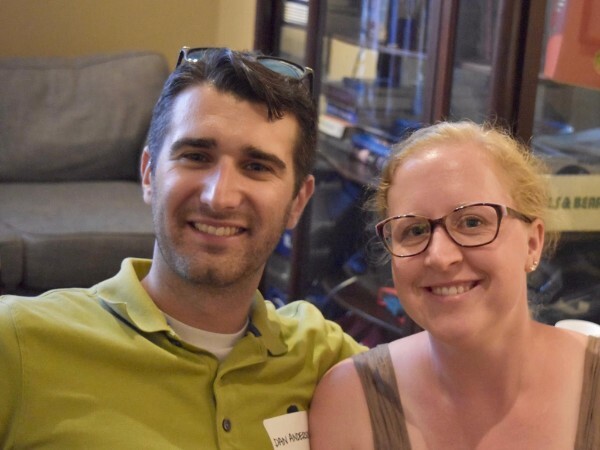 Bottom Left: Neighbors Dan and Denise Anderson of Servant Partners. Dan will lead the Fairhill Tree Tenders to plant 14 street trees on Nov 18.
on Tuesdays & Thursdays at 4pm in the gym. 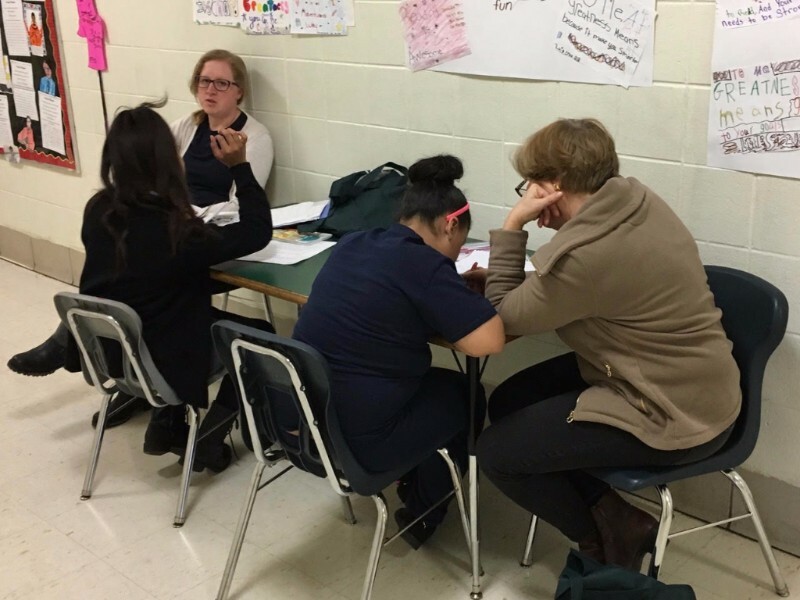 30 volunteers and 10 parents who receive a stipend are back to work at Julia deBurgos School. 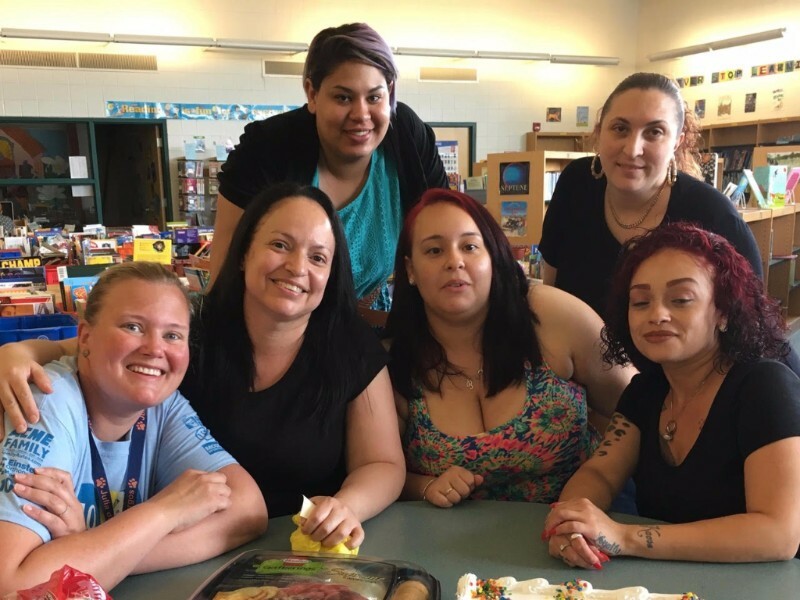 The HFH partnership for literacy has changed the culture of reading and given vital support to the staff charged with bringing all K-2 up to grade level. Checking out books and reading in the library. 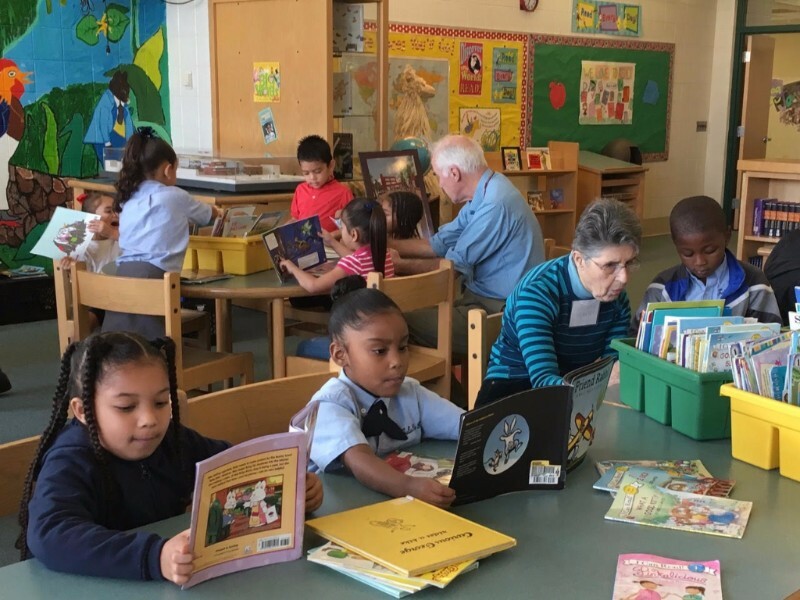 Volunteer Reading buddies working together. 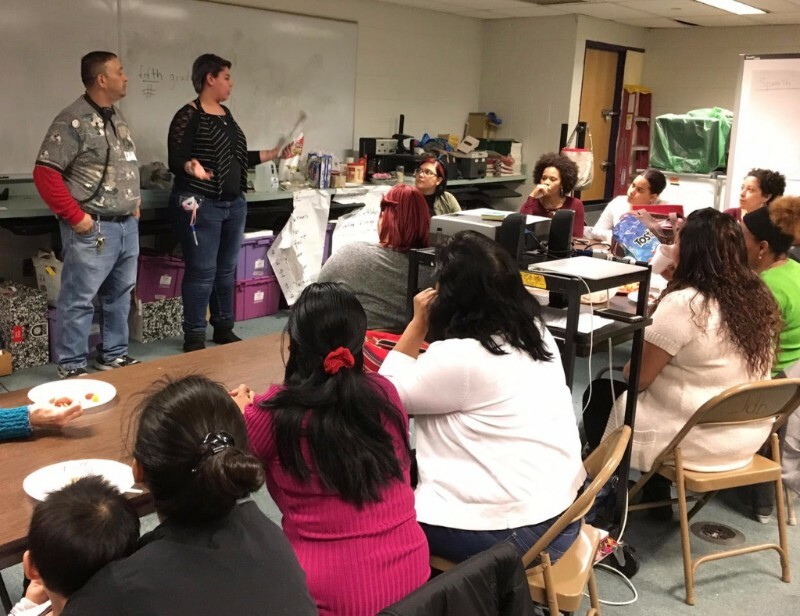 Parent leaders speaking to parent ESL class. 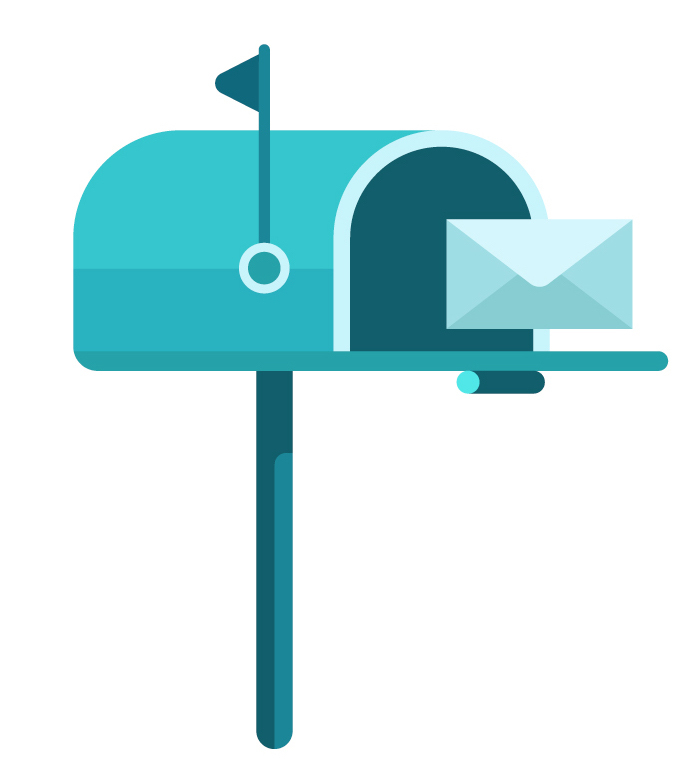 The Annual Appeal is coming to your mailbox! Be on the lookout in the next couple of weeks.